The Tygrine Cat by Inbali Iserles & COMPETITION!!!!!!! 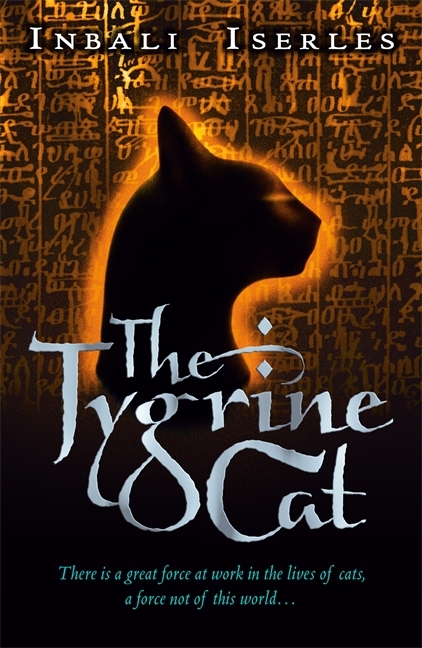 I first came across The Tygrine Cat when Iserles was recommended to me by a friend. I wasnt sure what to expect at first because young adult fantasy novels are not usually my ‘go-to’ literary genre. However, as you have seen from my previous reviews, I am always open to new reading experiences. The first thing I notice in The Tygrine Cat is the beautiful prose. For a first novel, Iserles expressed a great talent for writing. Not only because the writing flows artfully, but also because it is completely accessible to people at all reading levels. I would imagine everyone from the age of 10 years upwards would benefit from this story. Not only is it the story of a cat, but also of the self, identity, friendships and life journeys. If I were still a young girl (sadly I am not!) I can imagine that this novel would be one that could instill a love of reading in me. Moreover, in my late thirties it is one that excites me still. Iserles has a shockingly accurate insight into the life of a feline. This is perhaps the one thing that stands out the most. I often found myself wondering how you develop such imagination that it can lead you so deep into a character of another species – to the point that its hard to imagine anything other than a cat wrote this story. Clearly Iserles has a deeply ingrained love of felines and has spent a lot of time in their company. Right from the beginning of this novel I was hooked. Every chapter is intriguing, full of wonder and rich with prose that completely disables your ability to put the book down! As the book progresses foreboding seeps in with the knowledge that the book is getting closer to conclusion; although you fall in love with Mati and the others, and want good things for him, a selfish part wants the story to go on forever. I cannot be the only reader to think this way either, as Inbali Iserles went on to fulfil wishes for the young and older alike with The Bloodstone Bird, and then a sequel to The Tygrine Cat – The Tygrine Cat: On the Run. Her website is accessible at www.inbaliiserles.com and you can purchase her books here on Amazon. – Leave a comment stating the name of the main character in The Tygrine Cat. And please ‘Like’ Inbali Iserles’ Facebook page here. I really recommend it! *The competition will close on 12/07/2013 at midnight GMT. The winner will be chosen at random and contacted by email. Open to UK residents only.